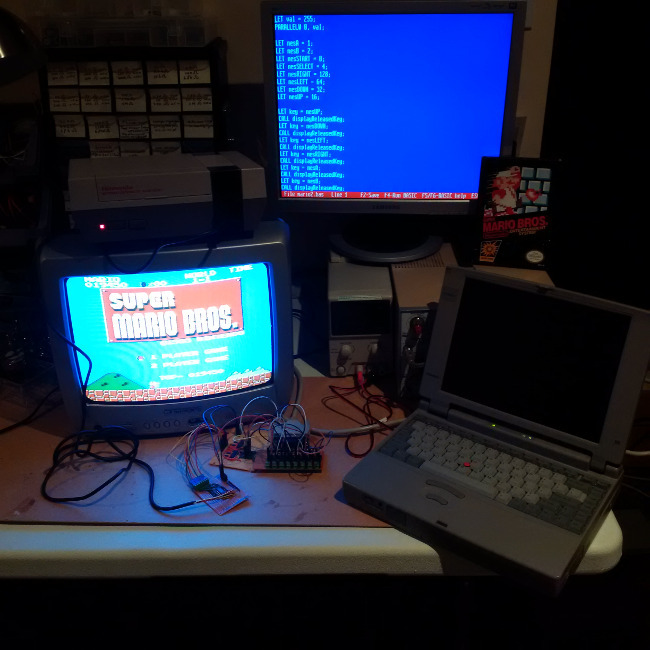 Given that I'm low on free time, I decided to let my Snowdrop OS play video games, instead of playing them myself. 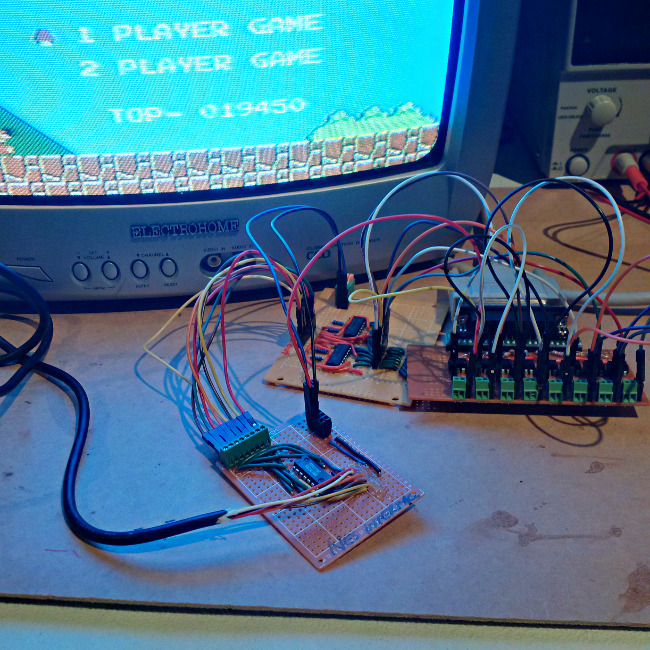 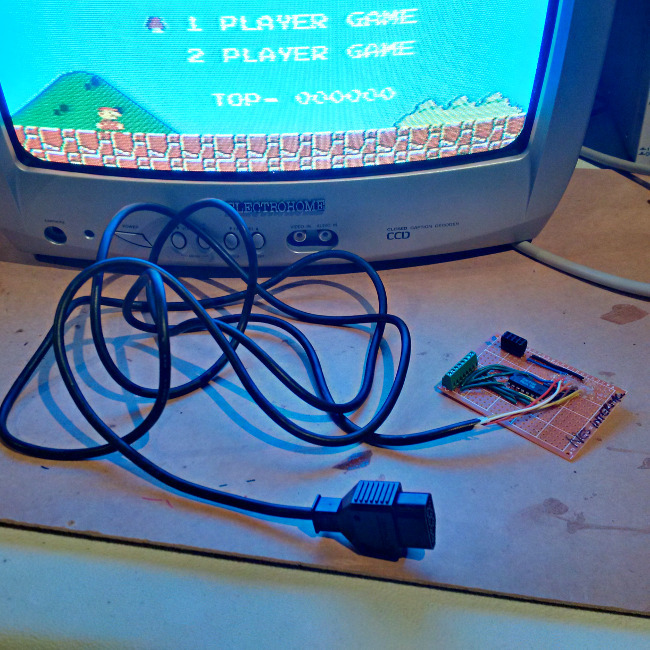 The Nintendo NES controller interface is based on a single 4021B IC (8-bit static shift register) and connects to my CMOS buffer board, which connects to my parallel port isolation board. 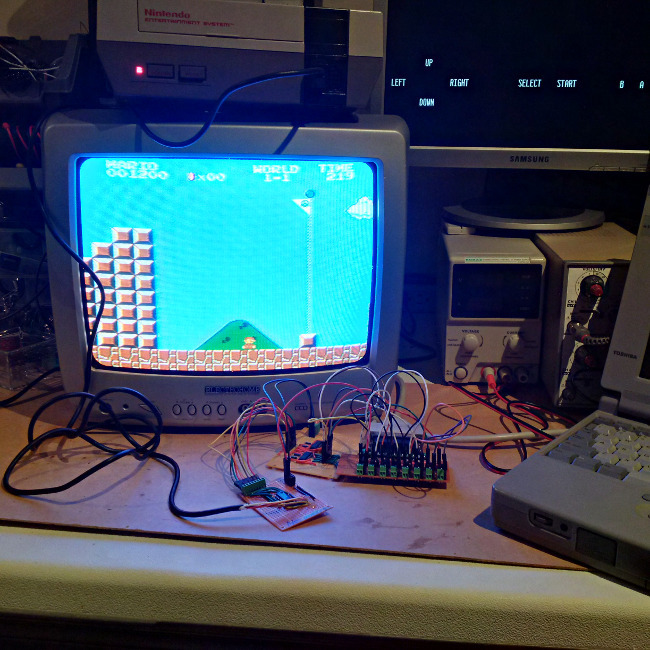 Like many of my other projects, game play is driven by a Snowdrop OS BASIC program.